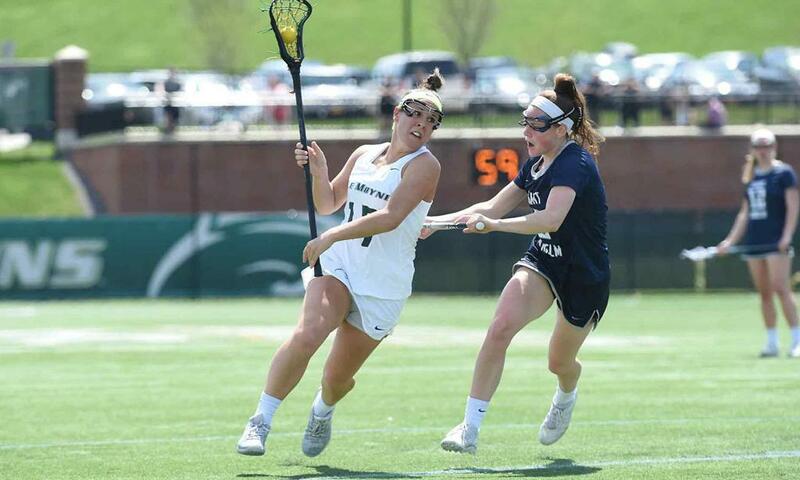 Le Moyne College (1-0) collected 23 of 25 first place votes to retain the top spot in the IWLCA Division II Coaches Poll this week, which was marked the top ten teams remaining static in the poll. Adelphi (3-0), Florida Southern (2-1), Lindenwood (5-0) and West Chester (1-0) round out the top five in this week’s poll. Tampa (3-2) broke last week’s three-way tie to claim sole possession of the #11 spot, leaving Limestone (4-1) and UIndy (2-1) in a tie at the twelfth position. Queens (2-1) at #22, and Slippery Rock (1-0) in a tie for #24 are the only two new entrants to this week’s poll. This week’s Top-25 games include a matchup between #15 Grand Valley State and Colorado Mesa (#21) on Tuesday, and contests between Pace (#14) and LIU Post (#6) and West Chester (#5) and top-ranked Le Moyne on Wednesday. Grand Valley State is back in action against Regis (#9) on Friday. Saturday’s games include New York Tech (#17) against #23 Bentley, Lindenwood (#4) against Colorado Mesa, Pace (#14) versus #7 East Stroudsburg, and Le Moyne against LIU Post, while Sunday’s lone top-25 match features #22 Queens taking on #3 Florida Southern.